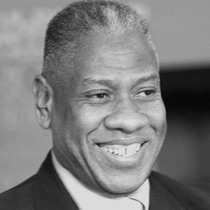 André Leon Talley is the international editor-at-large at Numéro Russia and is also a contributing editor at Vogue magazine (USA). Beginning in 1974, he worked at Andy Warhol’s Factory in New York and at Warhol’s Interview magazine. That same year he volunteered for Diana Vreeland at the Metropolitan Museum of Art. He went on to work at Women’s Wear Daily and W, from 1975 through 1980. In 1983 he joined Vogue, becoming creative director of the magazine in 1989. In 1995 he became a contributing editor at Vogue. In 2013 he was named international editor at large at Numéro Russia. Talley holds a B.A. from North Carolina Central College, in Durham, NC; a Master of Arts from Brown University; and an Honorary Doctorate of Humanities from the Savannah College of Art and Design (SCAD). He is a member of the SCAD Board of Trustees.